This summit, along with scores of other sessions taking place at SEMA, shows an increased demand for collision repair training. Considering vehicle advancements, whether to the vehicle’s materials or new technologies incorporated, how many of you think you fully understand what’s required to safely and properly repair the vehicle? Do shops understand what’s at stake in terms of liability? We now know repairing today’s complex vehicles requires knowledge and relevant training. 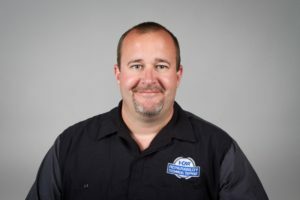 It’s critical more than ever that collision repair shops have their technicians train in order to keep up with the changes in vehicle technology and materials or else they will fall behind. Given the situation, it’s important to know that technicians are training at a record pace – in 2016 alone, I-CAR trained over 70,000 students. I-CAR’s Welding Training & Certification program saw dramatic increases as well, as the number of welding events increased 71.6 percent and the number of welding students increased 60 percent since last year. Repair and calibration of various advanced driver assistance systems. Vehicle-specific repair information from General Motors, Volkswagen and Volvo. “Vehicle Technology and Trends for 2018,” a popular I-CAR course offering. I-CAR’s Vehicle and Technology Specific Training curriculum was launched in 2016, with 26 courses to form the initial portfolio. Seven additional courses launched at the beginning of 2017. The nine one-hour courses just launched, all offered online, were developed as an overview for technicians wanting general information on how to approach newer technologies. This yearly launch schedule will continue moving forward given the close proximity of major automakers’ model year unveils. The 2017 program includes courses that are both vehicle-specific and technology-specific. While interrelated, these two topics speak to unique features and product trends that will continue to evolve as models are released. Two general courses on trends and vehicle maker procedures were designed as an introduction to what’s ahead. “Vehicle Technology and Trends 2018” will cover features and collision repair procedures for several 2018 models, including North American, Asian, and European. New manufacturing trends are increasing, with more vehicle makers turning to electric propulsion and thinking about autonomy. Safety features are also trending in a big way. “Using Vehicle Maker Repair Procedures” provides an overview of the importance of following OEM specific repair requirements and the many resources available to find them. Topics that will be covered are OEM specific websites, I-CAR resources, service bulletins and other resources. 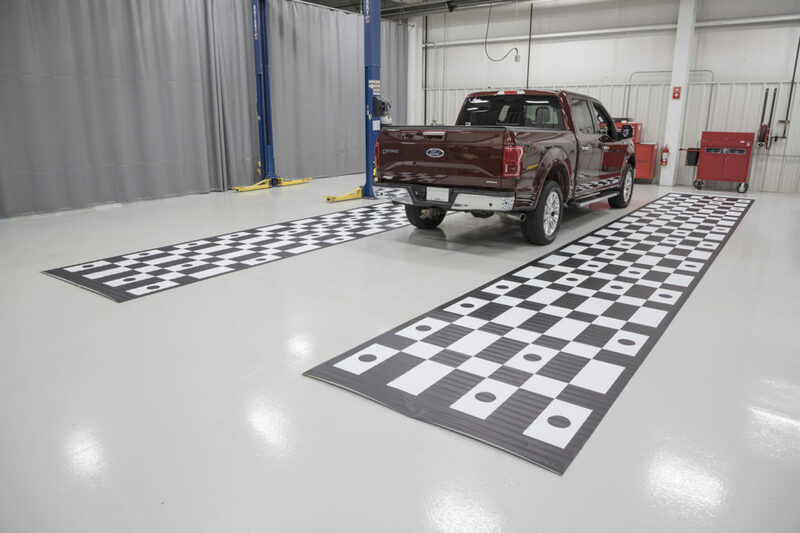 A subject of much discussion in collision repair this past year has been advanced driver assistance systems (ADAS) pre- and post-repair calibrations. 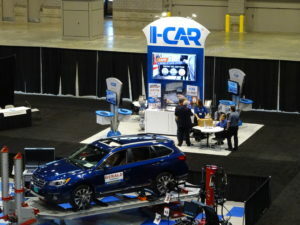 I-CAR took note of technical changes and challenges they created, and developed four courses specific to the advanced systems commonly seen in today’s vehicles. “Camera Calibration, Inspection, and Initialization Requirements” will cover rearview cameras, 360 view systems, and night view cameras. It will go on to explain what events, either during the actual collision or the collision repair, will require that the system be inspected, calibrated, or initialized. “Calibration Requirements for Blind Spot and Parking Assist Systems” will cover several manufacturers’ systems and help technicians identify if a vehicle has either system and what needs to be done after the repair to ensure the system is working properly. “Steering Angle Sensor Overview and Diagnostics” will educate students on the important role steering angle sensors play in the drivability of vehicles. The course will teach the common problems that can affect steering angle sensors and how to properly diagnose, reset, and calibrate them. “Windshields and Advanced Driver Assist Systems (ADAS)” will teach technicians about systems that are related to and impacted by windshield repair, replacement, and R&I procedures. Further instruction will be provided on what technicians need to look for when determining if the system has been damaged and needs to be replaced. “General Motors Company Collision Repair Overview” covers not only I-CAR’s historical perspective of GM, but also its newest product offerings and where to find the up to date repair procedures. This course provides the answers to the top questions technicians have about repairing a General Motors vehicle that has been in a collision. “Understanding Volkswagen Collision Repair” explores procedures and requirements for making collision repairs to Volkswagen vehicles. This course will describe how to navigate through the Volkswagen repair information website, erWin. Answers are provided, from a Volkswagen perspective, for the top questions collision repair shops have told us they want to know about an OEM. “Understanding Volvo Collision Repair” provides an overview of the VIDA website, Volvo’s online resource for repairing their vehicles. The course also covers a variety of collision repair practices such as spot weld replacement, outer body panel partial replacement, and heated glass repair. Volvo’s hybrid and safety systems will also be discussed. Feedback provided by the industry has shown that the Vehicle and Technology Specific Training program is exceeding expectations. For example, the FCA overview course launched in January 2017 reports a well above-average rating. Feedback on three other courses, including “Vehicle Technology and Trends 2017” and “Introduction to Diagnostics and Scan Tools,” indicated strong positive feedback from I-CAR’s students in the Insurance segment as well. Other participants in the course shared concerns over the lack of prior knowledge they had on topics such as sensors or calibration procedures before taking the courses. The Vehicle and Technology Specific Training program was designed by the industry, for the industry. From extensive feedback through I-CAR’s Repairability Technical Support Portal, together with industry roundtables and at Repairability Summits, we found it imperative to address technician and Insurance partner concerns. This is the type of training they need. Repairers and partners need to understand repairability not just generally, but also specifically. As technicians prepare a repair plan, they need to recognize that repair protocols have changed. What used to be all on high-end cars is now on all-new economy cars. The biggest change our industry has seen – and I-CAR has seen – is that technicians are learning new skills and technology. Regardless of the designations and recognitions earned or the countless hours spent training, they are facing new vehicle and technology changes head-on. What better way than to start building on a foundation of education than now? Josh McFarlin is the I-CAR director of curriculum and product development.